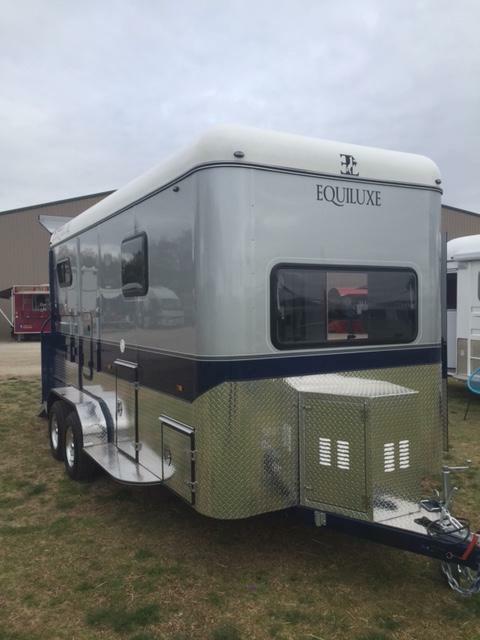 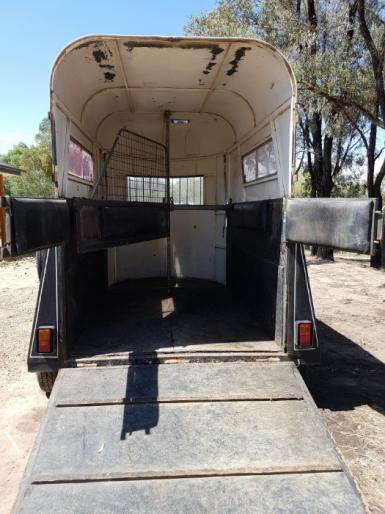 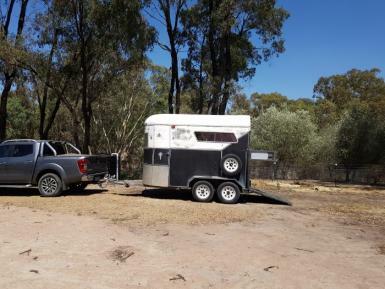 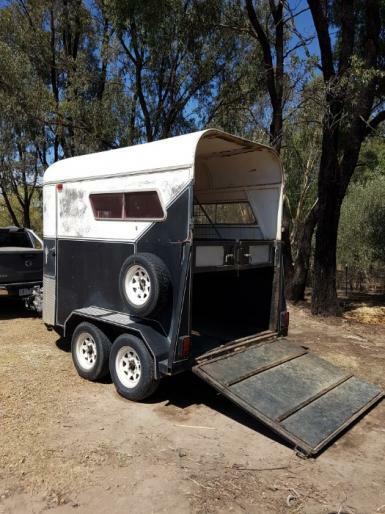 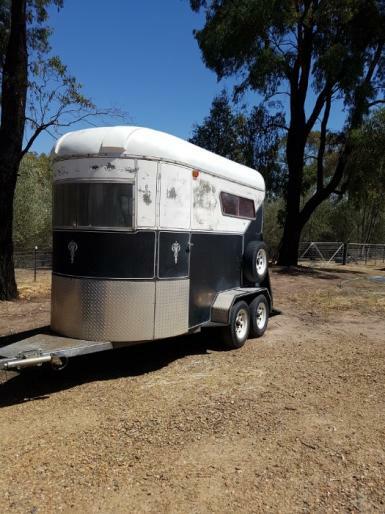 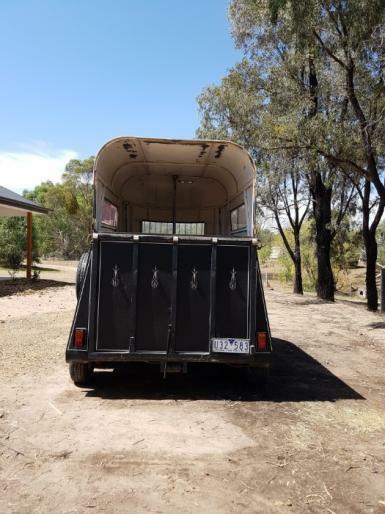 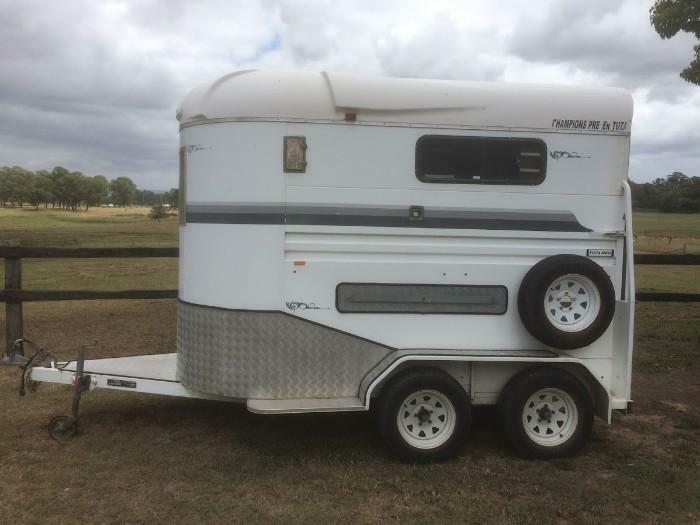 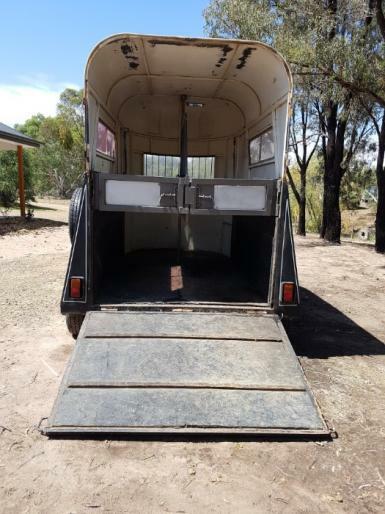 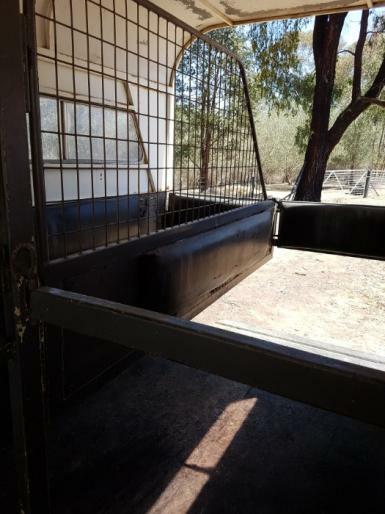 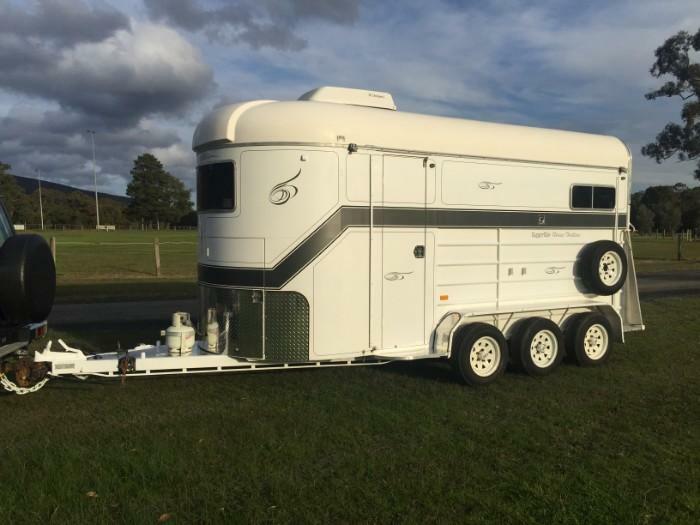 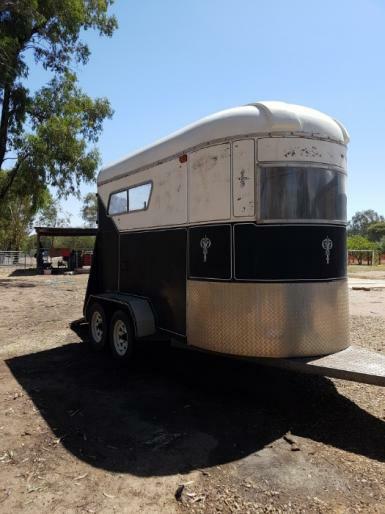 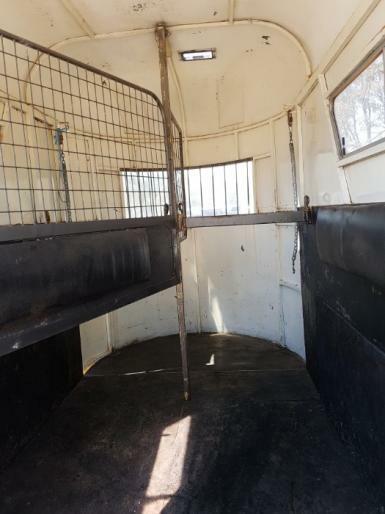 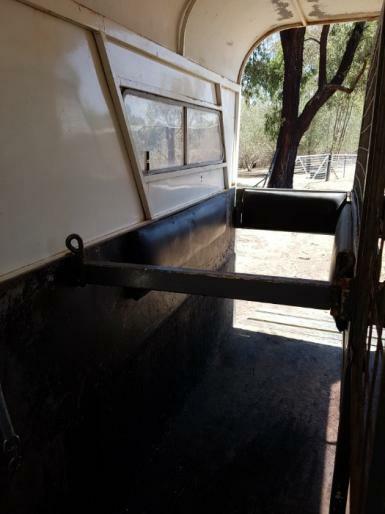 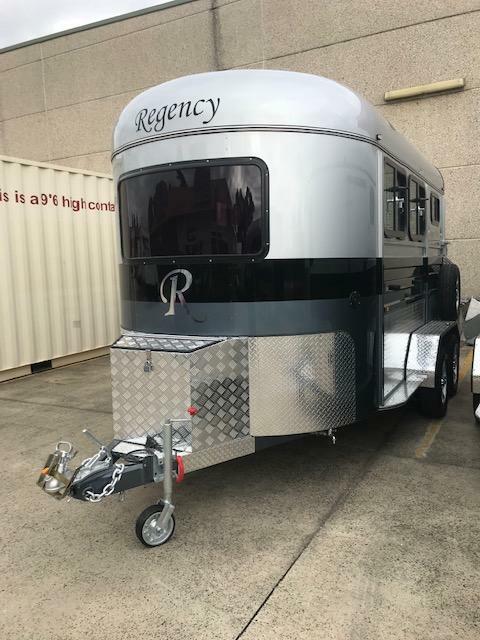 Solid double float.. comes with chest bars, head and body dividers as well as breeching and barn doors fully removable.. interior padding great condition. 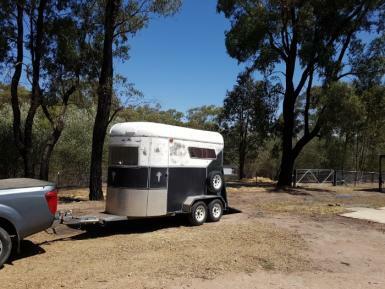 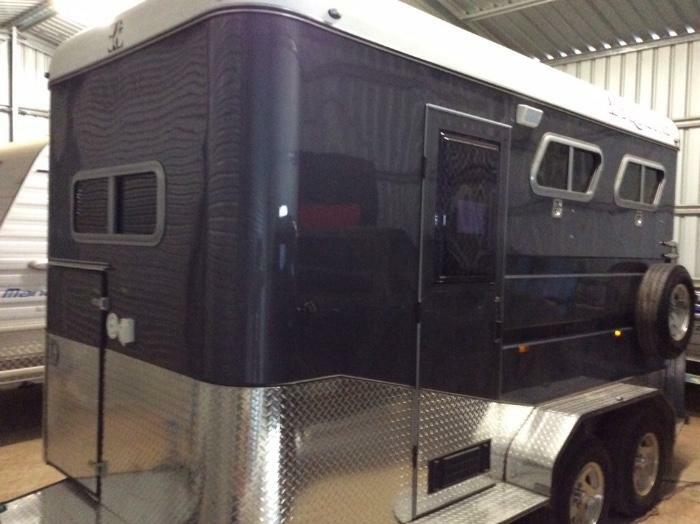 Easy to load with individual breeching doors and full tail gate. 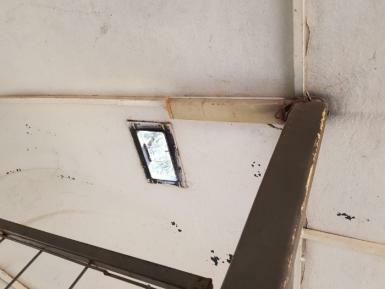 Front window has safety bars. 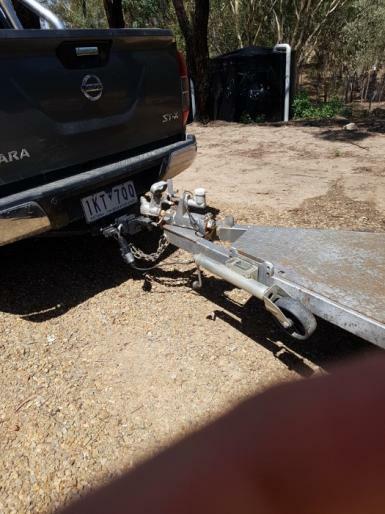 Jockey wheel easy to use..hydraulic brakes..light truck tyres in good condition. 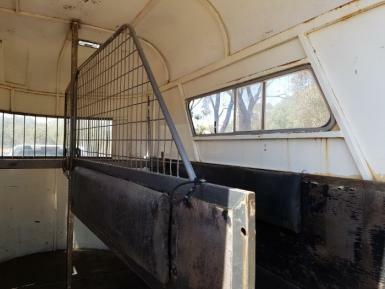 Side windows and top vent. 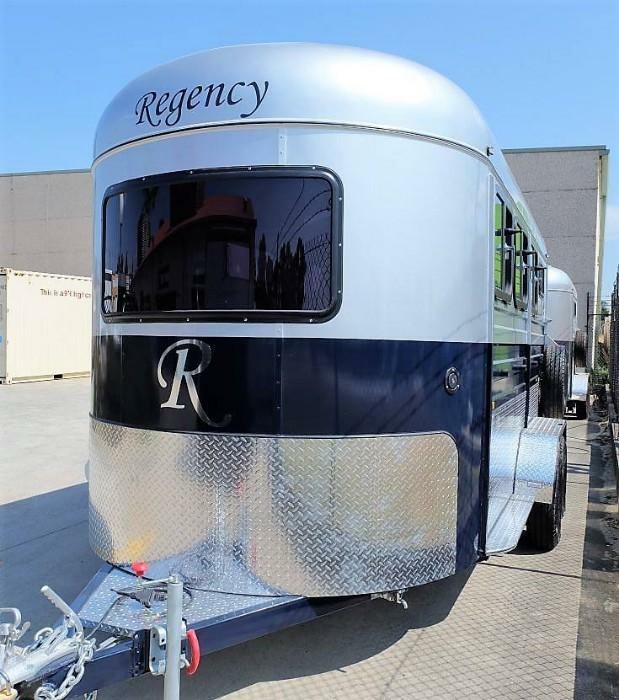 Current registration. 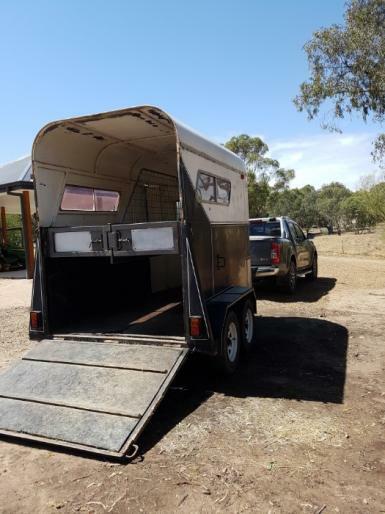 As in photos paint work is a bit scratchy on white section.. (barn doors not in photos attached however are included in price) spring loaded tailgate.